The People’s Democratic Party have an opportunity to show that they have truly reformed in character by properly addressing the situation with its Kwara state governorship candidate, Razak Atunwa. According to a Premium Times report, Mr Atunwa presented a forged NYSC certificate to the party when he collected his expression of interest form. He also added an affidavit to the effect that he carried out the mandatory service year. Premium Times’ finds that the candidate did not undertake the NYSC and the candidate, when reached by the paper, did not categorically affirm that he did, stately tersely that he is “fully compliant with all the legal requirements to be elected to the Office of the Governor of Kwara State” and did not submit any unsupported NYSC certificate as they alleged. A Saraki protégé, Atunwa was one of the Kwara politicians who switched with their boss to the PDP after the Senate President ended his troubled alliance with the APC at the end of July. Atunwa is in his first term representing Olatunde Asa/Ilorin West federal constituency in the House of Representatives and was a former speaker of the Kwara state House of Assembly. His first job in government was when he returned to Nigeria in 2005, taking up a role as a commissioner in the state under the Bukola Saraki administration. Considering he hadn’t done NYSC since graduating from the University of East London in 1992 (at the age of 23), that may have been the beginning of his contravening the nation’s laws regarding compulsory service as a pre-requisite for employment in the country. This is almost an identical replay of the situation we witnessed with the embarrassed immediate past Minister of Finance Kemi Adeosun. And because the PDP leadership was vocal, unsparing and absolutist in its demand for Ms Adeosun’s resignation and punishment, it cannot hide from the responsibility that comes with the cockroach that has now shown up in its own cupboard. As at the time of Premium Times’ report, the party’s publicity secretary Kola Ologbondiyan denied knowledge of the matter of Atunwas’ certificate; what will he and his co-leaders do when they become fully briefed of the messy truth? Surely they must know sweeping it under the carpet, or hoping the matter dies off, will be counterproductive. They should be persuaded that assuming this a light mistake that can be amended by allowing the candidate to present his WASSCE as his highest qualification will only renew perception that the PDP has not shed its accommodation and approbation of electoral malpractices. The need to deal decisively with this situation is important for transparency and honesty sake. But it is also necessary for the party to send a message that even the beloved son of one of its most prized political assets is not above the law. 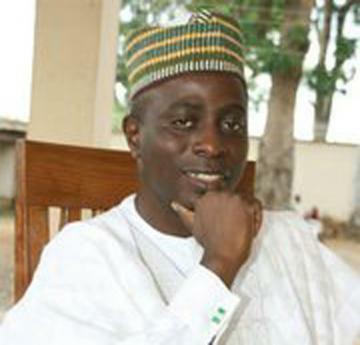 In addition, examining the issue solely on its merits will show that the party can stomach taking a hit on one of its intellectually sound and well-spoken members (as Atunwa is) but is confident in the pool of talent on the sidelines to serve as effective alternatives (the likes of Shaba Lafiagi, Bolaji Abdullahi and Abubakar Suleiman who contested the party’s ticket with Atunwa). You cannot possess the moral high ground shaming a neighbor for dirty linens when, in your own house, worms move freely on the sofa. The APC and President Buhari let Adeosun slip out of the country to retire into oblivion and have allowed another NYSC avoider, Adebayo Shittu, remain a Minister, but the latter was disqualified from being eligible to represent the party in the coming Oyo governorship elections ostensibly for dodging his national duty. The bar is generally low for ethical responsibility in Nigerian politics but at least there is one at the moment below which the PDP cannot afford to aim. Typically, it is the opposition party who should aim higher and anything other than utter transparency with Atunwa – namely, stripping him of his candidature if Premium Times’ reports are true – amounts to a terrible shame. Of course law enforcement agencies should also be interested in this, with forgery and perjury (both criminal offences) in play. It seems NYSC-related crimes are more rampant than we commonly assume; perhaps that would be a good place to start showing that, whether locally or foreign-trained, only one set of rules apply to all Nigerians.